What does the IMDb Movies & TV app for Android offer? The IMDb Movies & TV app for Android gives you access to our catalog of more than 4 million movie, TV and entertainment programs and more than 6 million cast and crew members, including celebrities, actors, actresses, and directors. You can watch trailers, exclusive interviews, and the IMDb Weekly Show. Look up showtimes near you, buy tickets, and check out critic and user reviews. Get breaking entertainment news, and follow all of the latest awards and events. Sign in to track what you want to watch on your Watchlist, rate movies and TV shows you’ve seen, check in and share what you're watching, and set your favorite theaters. Get notified about featured trailers, new movies hitting theaters, the latest entertainment trends, and awards and events news. Where can I download the IMDb app? Is it free? The IMDb app is free. Visit the Google Play or Amazon App store on your device and search for "IMDb". Select and install the application titled "IMDb Movies & TV". Is the IMDb app available internationally? Yes, the IMDb Movies & TV app for Android is available worldwide. It is available in English, Spanish, German, French, Italian, Portuguese, Korean, Chinese, Japanese, Turkish, and Hindi. Can I add to my Watchlist from my mobile phone? You can add to and view your Watchlist from your Android phone. To do this, you’ll need the most recent version of the app. Is an Internet network connection required to use the app? Yes, the apps requires an Internet connection. IMDb data is retrieved frequently to ensure you’re getting the most up-to-date information. 1. From the home screen, select the menu button in the upper right corner of the screen. Can I move the IMDb app to my SD card? Yes. You can move the app to your SD card by going to the Settings screen. Click on Settings > Applications > Manage Applications > IMDb Movies & TV and then click on "Move to SD card". 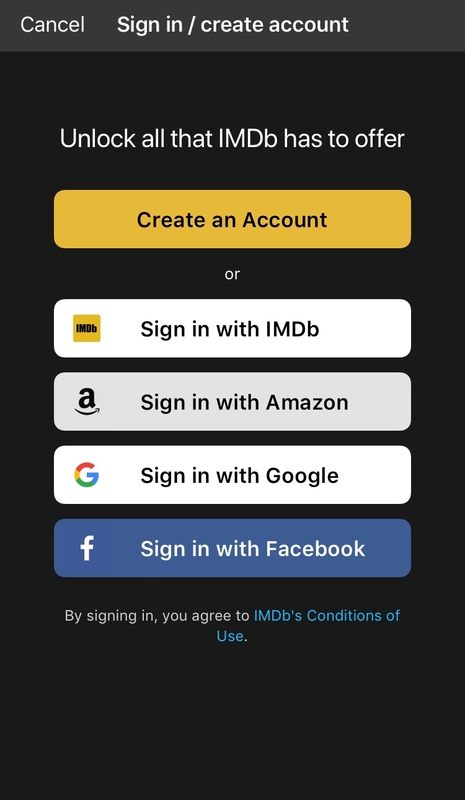 Why can't I set my location on the IMDb app? We currently support device location for countries where we have showtime listing for local theaters. Learn more about new features!